I haven't done a haul in quite a while so this is going to make me seem like a crazy lady who spends all her money on random stuff (which is only 90% true) but my mum recently went on a holiday for a month and brought me back some lovely things and the rest of the stuff I've accumulated over the last 6 weeks or so. Something I've wanted for a year now is a white dream catcher. I've had a couple of dream catchers throughout my life but for one reason or another they've either broken or disappeared. 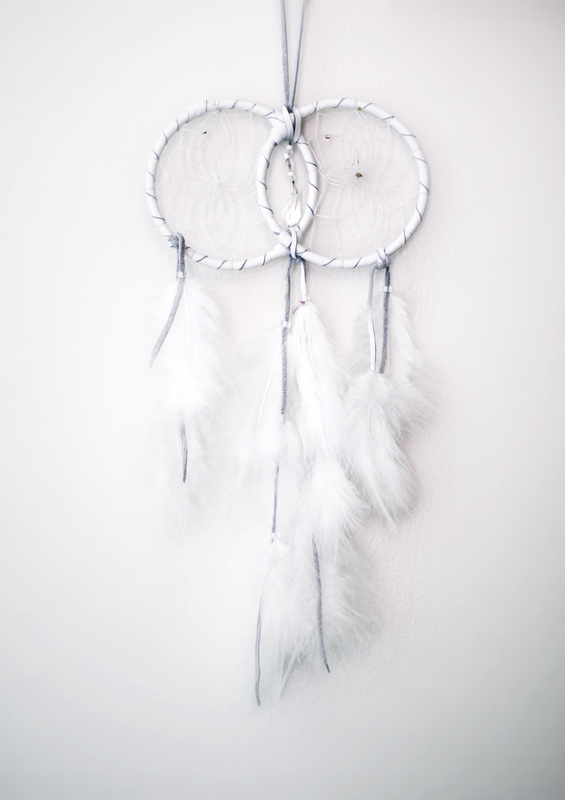 My room is very simple and white and I wanted a nice white dream catcher to match it. At first when mum showed me this dream catcher I read the description which reads: SOUL CONNECTION. It is by sharing ourselves with another that we come to truly learn about who we are. Soul Connection Dream Catcher honours this relationship between two people. I don't have a relationship like this but I'm hoping this dream catcher will bring one into my life. Mum also got me a couple of clothing items. I asked her to get me these acid wash Jeggings (I love the 90's) from Forever 21 and was so happy when she did! They fit PERFECTLY and look great with my Dr Martens. She also got me a denim vest and a gorgeous coral dress. Can't wait to wear them! Forever21+ Jeggings. Old Navy Denim Vest. Old Navy Eyelet Dress. Mason jars are pretty much my favourite thing ever so mum felt she had to get me these candles when she saw them! Sweet pea is also my favourite scent! Mason Jar Candles - Honeysuckle and Beach Cabana. Sweet Pea handmade soap. As you might know from this post I love coffee table books. 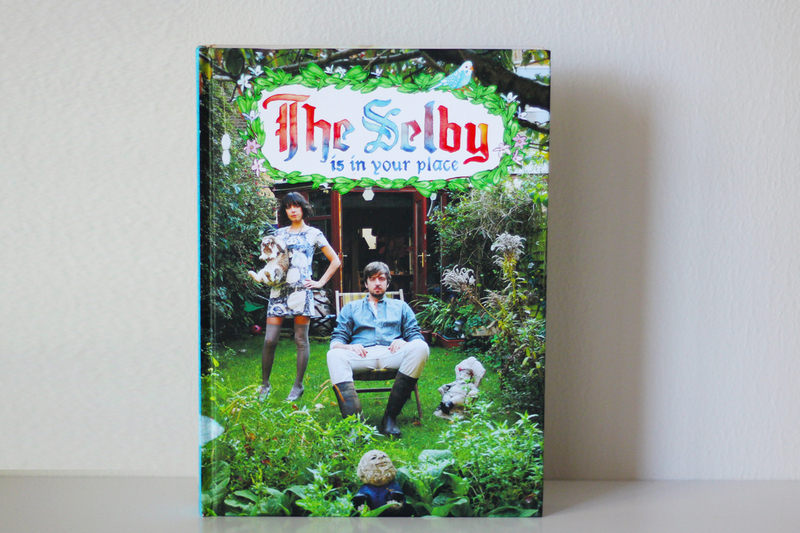 I'm always on the hunt for new ones and came across The Selby Is In Your Place when I was going through my Bloglovin' feed. I'm so glad I bought this book - the style and concept of it are both really cool. Basically Tom Selby goes into well known people's houses, photographs them and does a little handwritten interview with them. I suggest checking out checking out the images from the inside of the book - it's so fun to read and great to pick up randomly or to sit down and spend an hour reading as you can always go back and find more to enjoy. A lot of my time is spent thinking about the 16 Myers Briggs Personality Types. 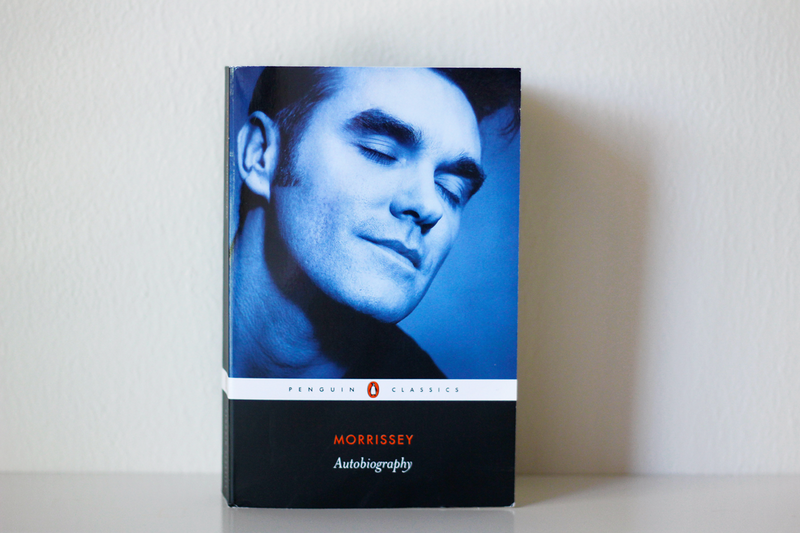 I identify as INFP and apparently Morrissey is too so I felt the need to pick up is autobiography. Morrissey isn't afraid to say what he thinks and has quite a pessimistic outlook. I haven't started reading it yet but I'll let you know what I think once I'm finished! 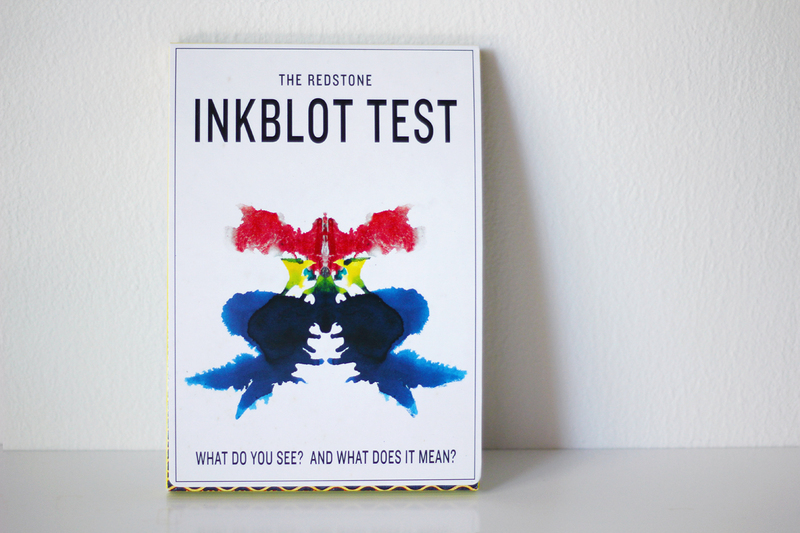 As I just mentioned above I love personality tests and The Redstone Inkblot Test is quite a fun one. You basically get 13 cards with different ink blots on them and you pick the three you're most drawn to. Then you say what you see in each of the cards, turn it over and read the description that corresponds with your answer. They also have a guide that has a general description for each of the cards. I have to say I made my brother do it and I also did it myself and both times the answers were accurate. If I had chosen the cards he picked they wouldn't have fit me and vice-versa. 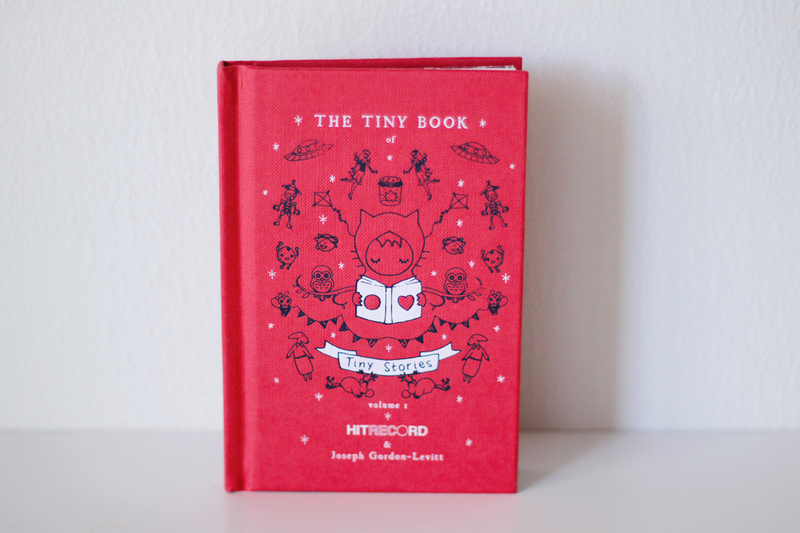 Last weekend I went shopping with some friends and we stumbled across a book store that had everything for $5! Honestly there wasn't much I wanted much I wanted but I found this little gem and had to pick it up. I'm terrible at describing what it is so I urge you to check out the scans of it here. It's funny because I didn't look at the author before I bought it but I'm not a fan of Joseph Gordon-Levitt and probably wouldn't have bought it if I saw that earlier. This is such a good mix of stuff! As bad as it sometimes is to spend all your money, it can also be quite great, especially when you're buy books and candles and stuff that help you relax and grow as a person. I hope you enjoy all the stuff you bought, your dream catcher is beautiful! 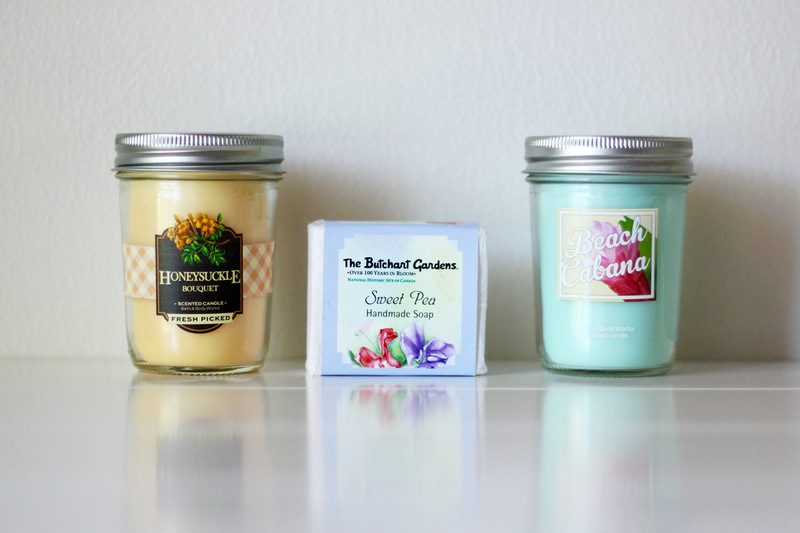 That Mason Jar Candles smells so goood! <3 cute blog girl! Now, scented candles in mason jars are always an investment. I would readily fork out my money for those!